Single Point-of-Contact – Rather than using a progressive system, where you may be working with several people in the organization for different services, we have one point of contact for our clients. This person receives the documents, does the necessary research, classifies the shipment, inputs into the system, performs the billing, and follows up with the customer. This helps you know who to call if any unforeseeable issues arise. Online Tracking – We use online tracking systems to help our clients track their own shipments at the click of a button. 24-Hour Service – We are available 24-hours a day, 7 days a week. Your shipments don’t stop arriving, why should we stop working? 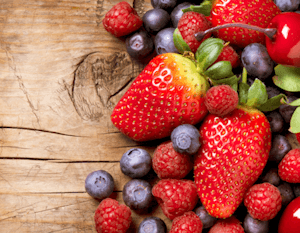 FDA Regulations – Because of our 30+ years of experience in perishable products, we have extensive knowledge of handling FDA regulated merchandise. Weekly Meetings – Our company has weekly continuous improvement meetings which ensures we have a high efficiently in our processes and people, and flawless execution for our clients. Multi-Lingual – We have the ability to work with clients in English, Spanish, and Vietnamese. In-House Runner – We have an in-house runner that can go to the docks or airport and answer on-site questions for the responsible agency representatives, saving you time in resolving issues. Remote Location Filing – We use a system that allows us to file customs entries in all ports in the US. Industry Involvement – We are members of several industry organizations including National Fisheries Institute, California Fisheries and Seafood Institute, and National Customs Brokers and Freight Forwarders Association. In addition, one of our managers co-chairs the FDA committee for Los Angles Customs Brokers and Freight Forwarders Association. Contact us for help with your customs needs.